In a dystopian future where everyone plays video games and makes references to ‘80s pop-culture, only one man can be the best at video games and ‘80s pop-culture references. That’s what life is like in Ernest Cline’s Ready Player One, a novel that’s basically a love letter to stuff that geeks and nerds like. Also, we’re pretty sure we’re using the word “dystopia” incorrectly, because that doesn’t actually sound so bad. 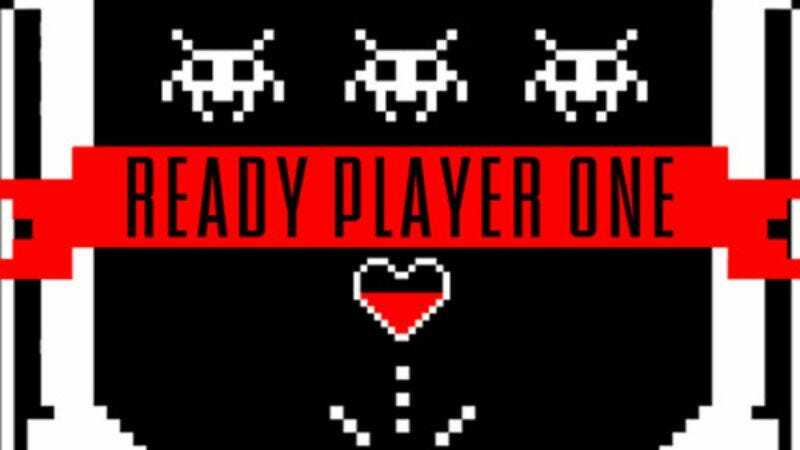 Either way, a film version of Ready Player One has been in the works since before the book came out, and now—according to The Wrap—Warner Bros. has hired a guy with somewhat legitimate nerd cred to rewrite the script: Zak Penn. The co-creator of SyFy’s Alphas, Penn also wrote X-Men: The Last Stand and Elektra. Alright, so that’s not the most prestigious résumé, but he also has “story” credits on The Avengers and X-Men 2 according to IMDB, and those are both great. That’s gotta count for something. “Several high-profile filmmakers” are reportedly hoping to take on the Ready Player One movie once its script is ready, which The Wrap says has something to do with Facebook buying virtual reality company Oculus. We’re not sure what it has to do with that, since it’s not like virtual reality or video games are new concepts that the world has never seen before, but whatever.